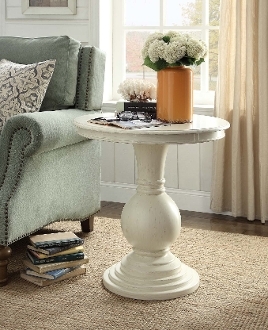 Our Rosemont Pedestal Table in Antique White is a classically designed round table that is perfect to sit a lamp or books. Its traditional style fits many rooms and decor. Solid and composite wood pedestal base.